Vila Auska in Palanga, Lithuania. Completed in 1979 by architect J. Šipalis. Modernist, Soviet architecture in the former USSR. Jaunķemeri Rehabilitation Centre in Jūrmala, Latvia. Completed in 1967. Formerly Sanatorium Jaunķemeri. Modernist, Soviet architecture in the former USSR. 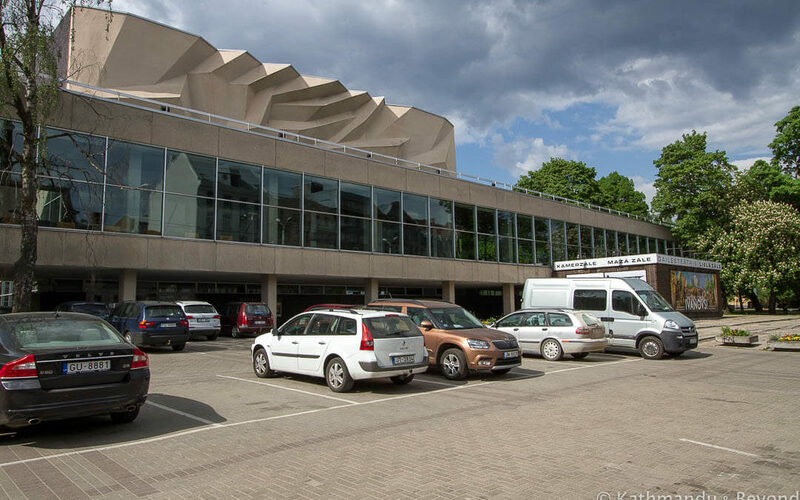 Daile Theatre in Riga, Latvia (Baltic States). Constructed between 1966 and 1976. Modernist, Soviet architecture in the former USSR. Ignalina Nuclear Power Plant in Visaginas, Eastern Lithuania. Constructed in the 1970s. Modernist, Soviet architecture in the former USSR.